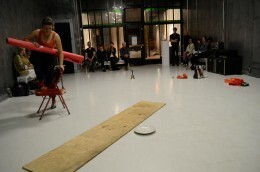 during the past years TRINKS developed her work from the question ‘what is performance?’ and ‘how does it relates to our every day life?’ these questions evolved in created using instructions, observations, and live actions made with every day objects and materials (such as cups, chairs, paper, shoes, doors, wood, plastic bags), combined and deconstructed. 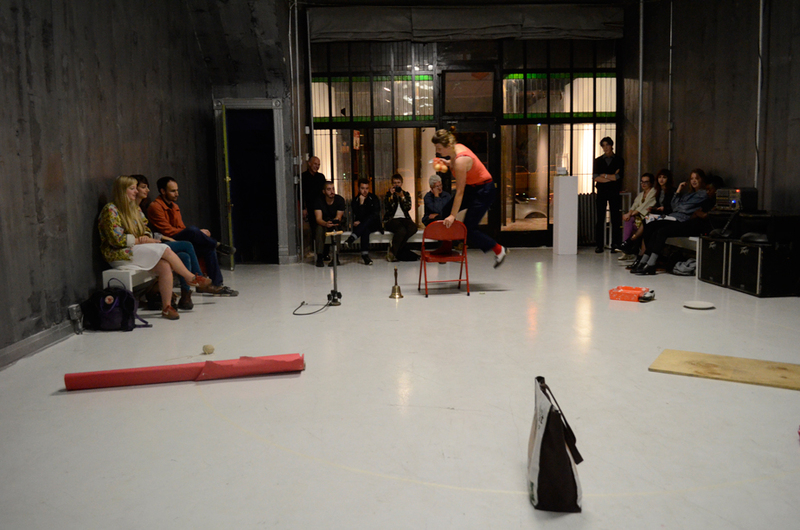 these performances often resulting in absurd situations that plays with interpretations and expectations in response to a particular written text. TRINKS work demonstrates the everyday life routines, the repetition we experience, and the small changes that constantly emerge from that. the work shows an attempt to control, to make sense out of chaos, to make rules, to create systems and to keep order. she concentrates on small details, which seems in the first place of no importance and without significance. in ‘110 seconds’ (produced for RADIO VOICEMAIL, 2013) she asked 110 people to count down together from 110 to 1. 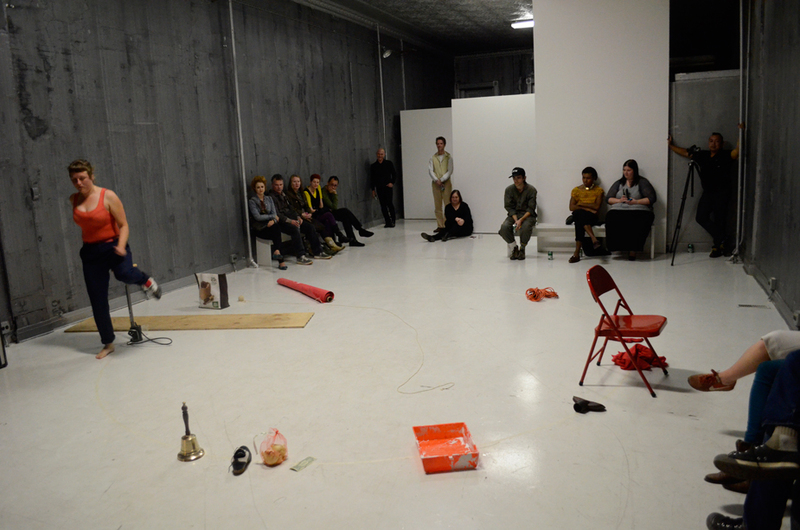 In ‘Stacking’ (developed during a residency at the LIVING ARTS of TULSA, 2013) TRINKS invited 10 persons including her to stack simultaneously for one hour their personal items. 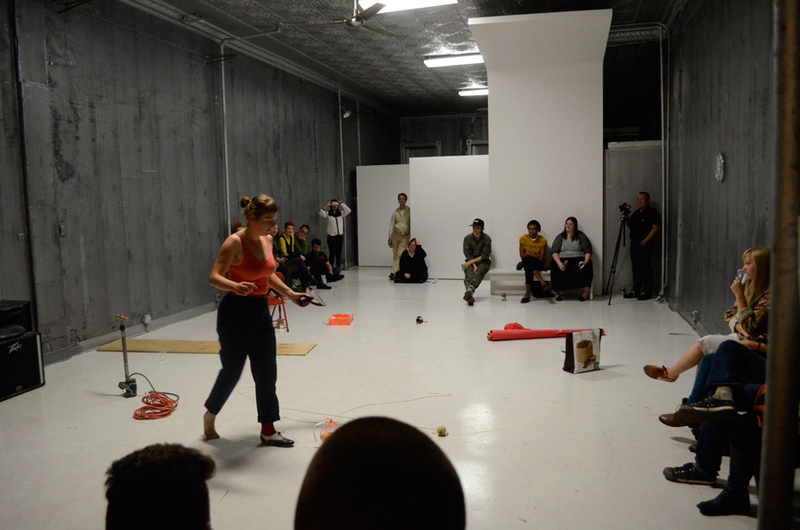 her following up project, in collaboration with SARAH MCKEMIE, concerns amateur performance improvisation in TULSA, USA. 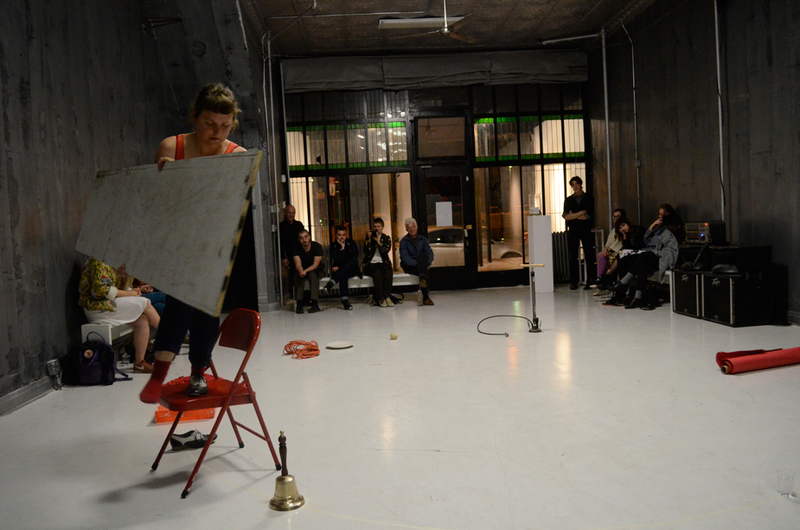 this project emerged from TRINKS her 5 years of being part of the performance improvisation collective ‘TRICKSTER’. 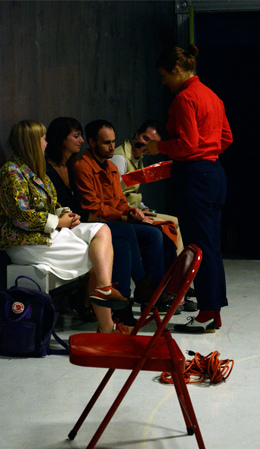 IEKE TRINKS lives and works in ROTTERDAM the NETHERLANDS, her work mainly focuses on live-art, which includes performance art, interventions in public space, collaborative projects with artist and/or other participants. TRINKS has presented in various venues in EUROPE, SOUTH AMERICA, USA and CANADA. 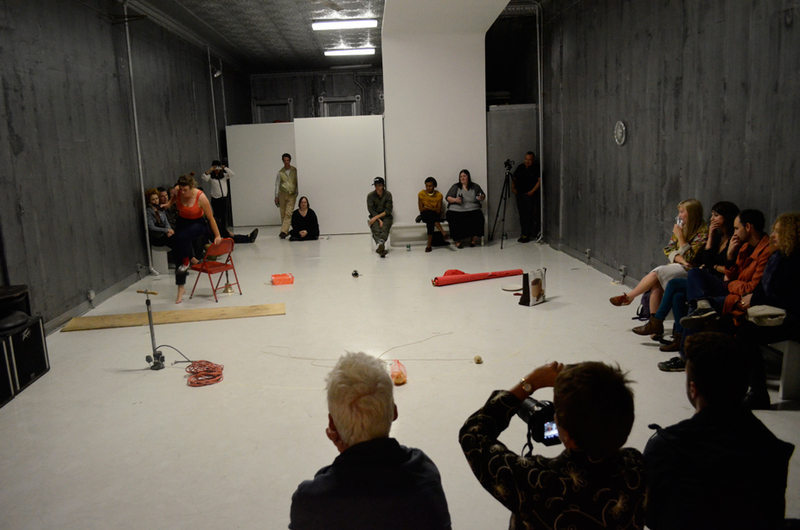 in CHICAGO SEPTEMBER 20, she presents ‘meetings’ in ‘OUT of SITE‘ unexpected encounters of public performances in collaboration with BERNARD RODDY. she is part of a performance collective called TRICKSTER that works with “emergent-form composition’”, a practice on improvisation using sound, movement, objects, actions and text. 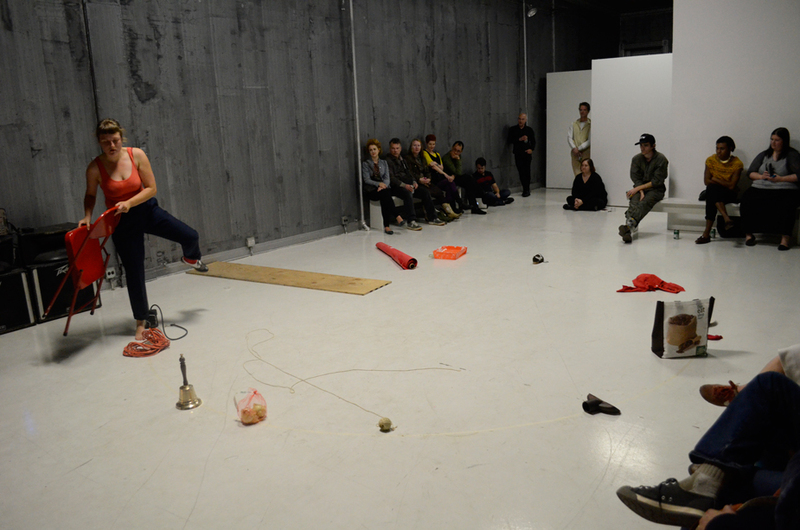 since 2009 TRINKS is organizer and curator of PAE (PERFORMANCE ART EVENT) in ROTTERDAM.